In every industry, there can always be hiccups but in the shipping industry, the hiccups can be as large as 75 foot waves on the open sea. There are several different types of damages and losses that a shipper might come across in international cargo shipping. There can be water damage from rough seas, the container itself could have been dropped or damaged, as well as various other reasons. The bad news is that your cargo may be irreversibly damaged. The good news is that most container shipping companies have a specific claims process in place to handle these situations. Once you have established that you will be trying to file a claim, be sure to take pictures and do not move the cargo more than needed. It is best if you can even keep the cargo in the shipping cargo container. To get started with a claim, you first need to contact your insurance company and then the steamship line that you used for this shipment. Not only will they advise you of the process, but they will most likely get you started by sending over a surveyor to assess the damages. 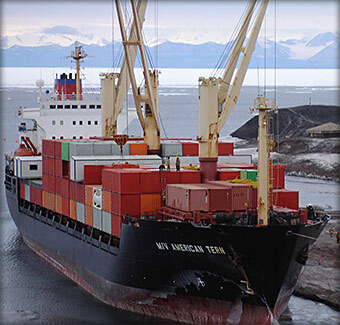 If at that point it is determined that you have a claim, you can then begin to salvage what you can and gather the documentation together to submit it to the steamship line. Be sure to check the bill of lading terms as well as with the carrier’s customer service to be sure you have covered everything before submitting your claim. The carrier will then be in touch with your payment within their stated timeframe.